Billionaire businessman and the managing director of Capital Oil and Gas Limited, Ifeanyi Ubah, has been released after being arrested by the Department of State Services. We reported over the weekend that the operatives of the Department of State Services (DSS) arrested controversial businessman and Managing Director of Capital Oil, Ifeanyi Ubah. The arrest was disclosed in a statement issued by the DSS signed Mr. Tony Opuiyo, the statement explained that Ubah was arrested on Friday for "economic crimes of national security dimension". 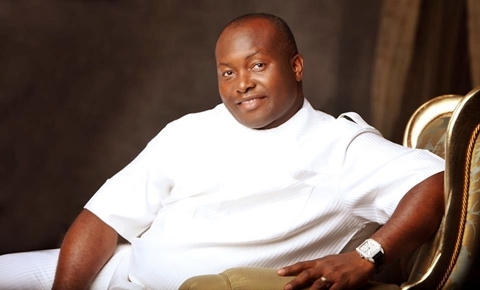 According to an exclusive report by SaharaReporters, Ifeanyi Ubah who was arrested by the Special Fraud Unit under Police Commissioner Tunde Ogunsakin (now rtd AIG), confessed that he imported fake fuel into the country and was paid N11 billion from the Petrol Subsidy Fund on the orders of former President Goodluck Jonathan. It was gathered that Ubah's release from detention was ordered by the former President. 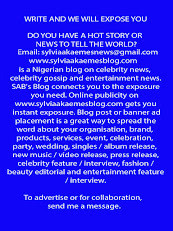 To stop any further investigation of the fraud, Ubah's lawyer, Chief Wole Olanipekun (SAN) sued the Police, EFCC and co. Even though Ubah was arrested and detained in Lagos, the case was instituted in Abuja. The judge who decided the case was Justice Abdu Kafarati of the Federal High Court. In a matter of days, the judge granted all the reliefs of the lawyer. Specifically, the judge granted a perpetual injunction restraining the police and EFCC from ever arresting and prosecuting Ubah in connection with the fraud of N11 billion. When some whistleblowers recently petitioned President Buhari over the case he was very angry over the use of a Nigerian judge to cover up the fraud of N11 billion. Since the Department of State Security was not restrained by the federal high court President Buhari directed it to recover the entire proceed of crime. It is not clear whether Ubah has briefed his lawyer to file a new case against the DSS.